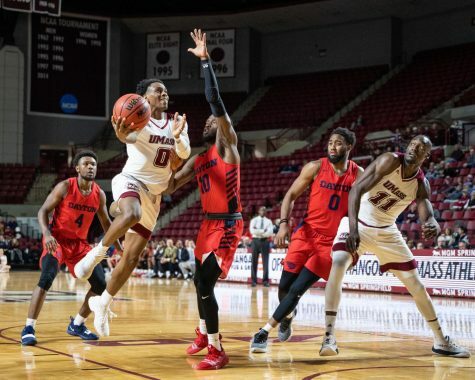 With the calendars turned to March, there’s only one thing on the mind of college basketball players, coaches and fans: tournament time. 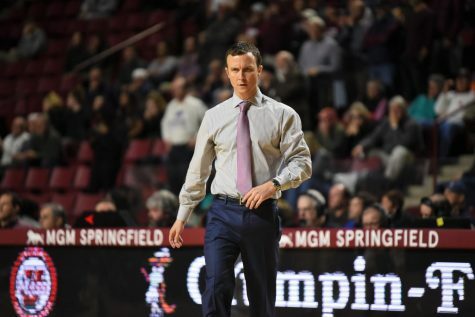 The Massachusetts women’s basketball team begins its postseason journey in the Atlantic 10 tournament Wednesday with a first-round matchup against St. Bonaventure. 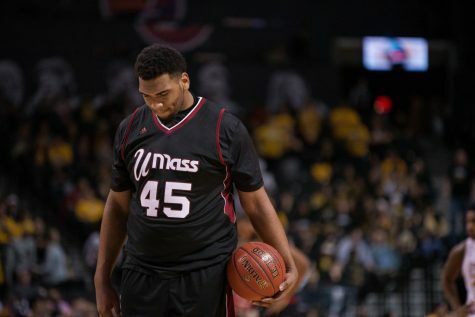 UMass (11-17, 5-11 A-10) comes into this game as the No. 13 seed while the Bonnies (15-14, 5-11 A-10) are the No. 12 seed. 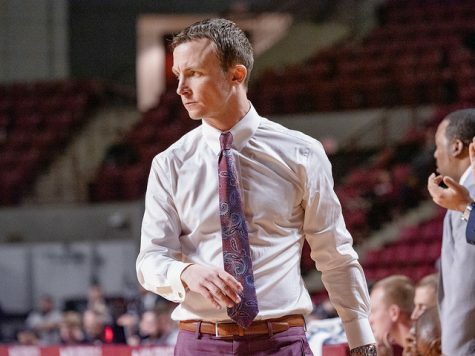 The Minutewomen faced St. Bonaventure twice back in January and came up short both times, losing 65-53 in the first matchup in Olean on Jan. 3, and 77-57 back home at Mullins Center on Jan. 31. 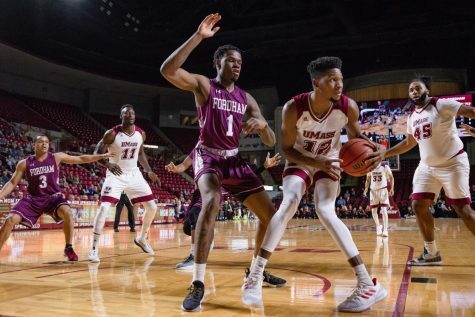 Despite their struggles with the Bonnies this season, UMass coach Sharon Dawley is confident in reversing this trend. 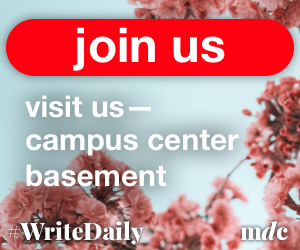 If the Minutewomen want to change their fortunes, they will have to slow down the two players that have hurt them the most, which according to Dawley are forward Katie Healy and guard Nyla Rueter. Healy dropped 25 points in their first contest and 14 in the next game while Rueter added up 22 in the second contest. Both Healy (14.0 points per game) and Rueter (10.8) are the only Bonnies averaging double figures for the Bonnies. Hannah Little follows closely at 9.2. The Minutewomen will also need to receive more than the usual production they get out of forward Kim Pierre-Louis. 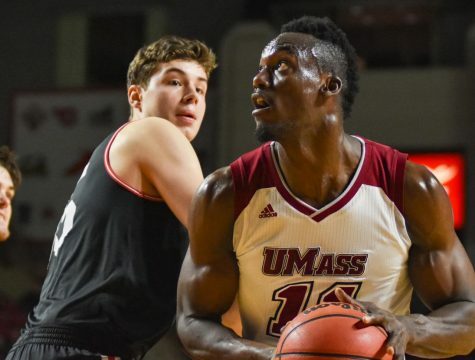 More players will have to step up for the team to be successful in the tournament if they want to have a shot at advancing. Cierra Dillard ended the season on a high-note, as she scored up 20 points on Senior Night, making it the third time this season she has crossed that threshold. Her effort against Rhode Island on Sunday earned her A-10 co-rookie of the week honors. 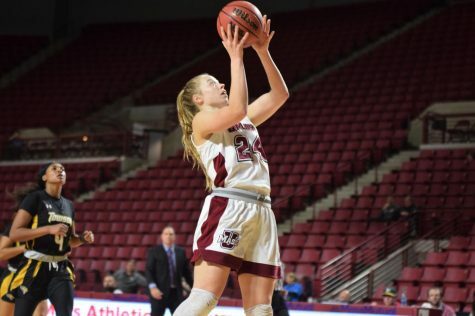 Although Dawley’s seen much more success in conference play this year than in the past two seasons combined, she fully embraced the opportunity to get a fresh start in the conference tournament. 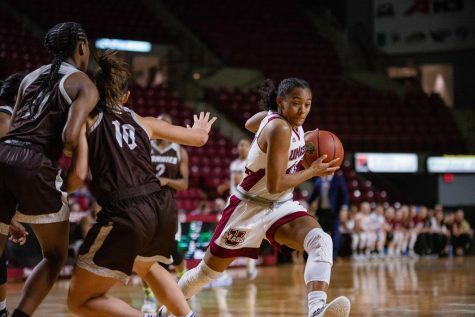 She credits the loss against Dayton on Feb. 26 as the best game the team has played all season, talking about how UMass held the Flyers to only 69 points. A few days later, the Flyers scored 95 against Saint Louis. 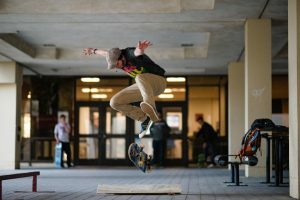 “I am very confident in my team right now,” Dawley said. “Our defense is sound right now and we have played great recently, so we’re going in tournament ready and we’re pretty psyched about it. 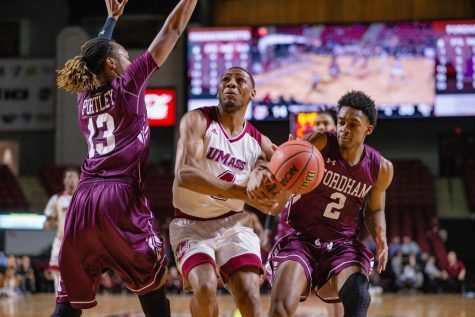 No matter what the result is for UMass Wednesday, there is no denying the strides forward that this team has made. This season marks the first time since the 2009-10 season, and the first time in Dawley’s tenure, that the team has gone over 10 wins in a season. “This team is very resilient and no matter what they stay positive,” Dawley said. “This team does a good moving to the next game and has gotten so much better over the course of this season. All of these things make us so excited for this tournament opportunity. Tip-off is at 4:30pm at the Richmond Coliseum in Richmond, Virginia, with the winner facing No. 5 Richmond in the second round on Thursday. 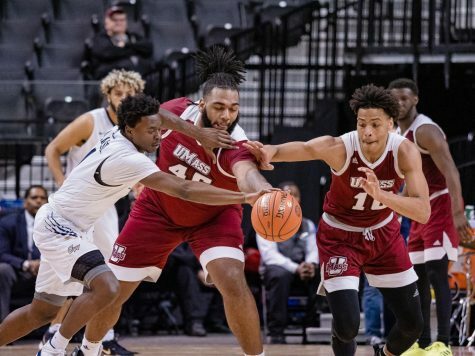 UMass men’s basketball falls to George Washington in D.C.